After releasing several parody trailers, Disney has finally released the first full official trailer for this fall's The Muppets. And, as the trailer says, there's no movie like a Muppet movie. As someone who grew up with The Muppets, I can't help but get unfathomably excited watching this trailer. Singing, dancing, Miss Piggy fights... what more could you ask for?! 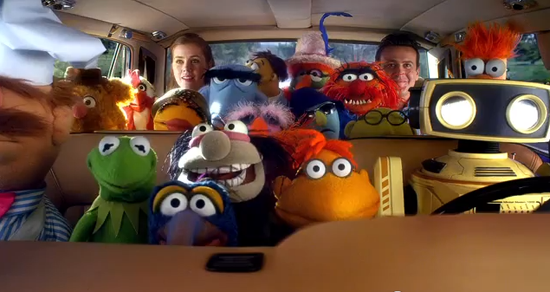 The Muppets hits theaters this Thanksgiving.